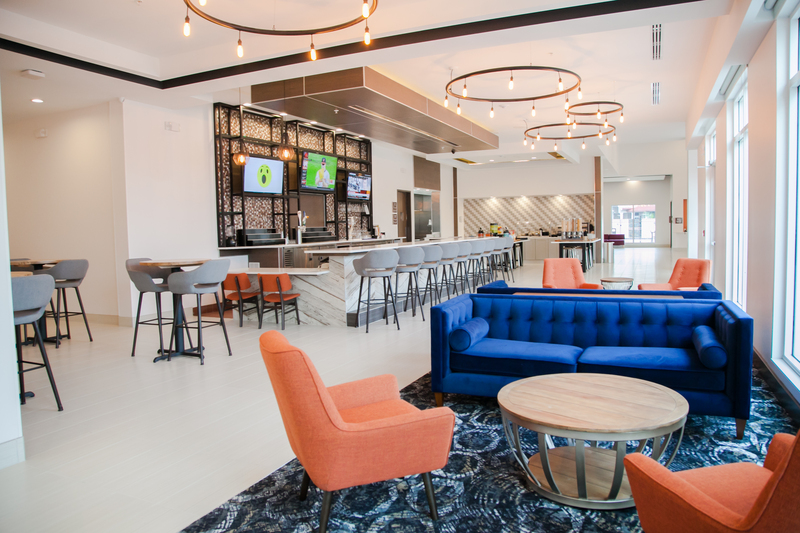 Centrally located, the full service Hilton Garden Inn Tampa Suncoast Parkway offers 110 spacious guest rooms and suites, SertaPedic Plush Sleeper mattresses and plenty of space to relax, King or two Queen beds, Jr. Suites and two bedroom suites. All rooms come fully equipped with microwave, refrigerator. All suites offer a living room area with dry bar, sofa bed & well-lit work area 40-43” flat-panel televisions with HD programming. COMPLIMENTARY High Speed Wired & Wireless Internet access throughout the hotel! HOT COOKED TO ORDER BREAKFAST with continental items served daily. FULL SERVICE RESTAURANT & BAR on site which features daily off menu specials and a happy hour! Outdoor swimming pool and patio with television and outdoor seating. 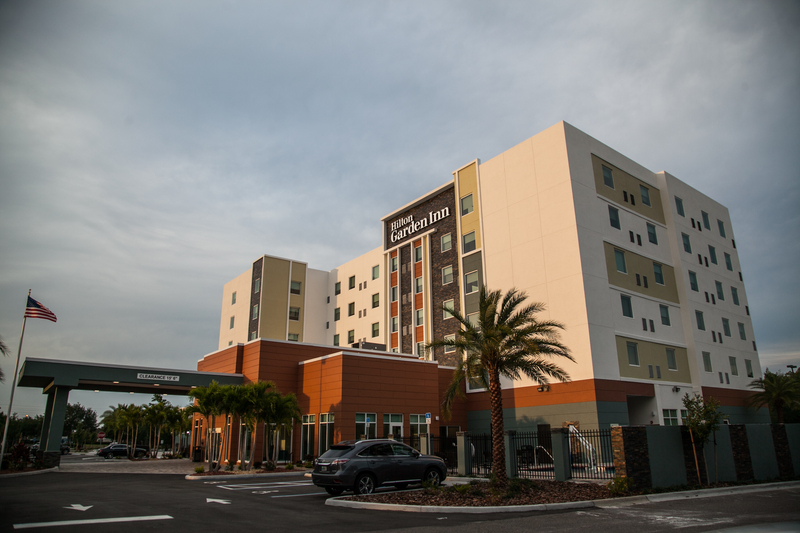 Close to Tampa Premium Outlets and Florida Hospital Center Ice. Event space features 4,000 sq.ft of flexible space for meetings, conventions, weddings and social gatherings including a divisible ballroom.